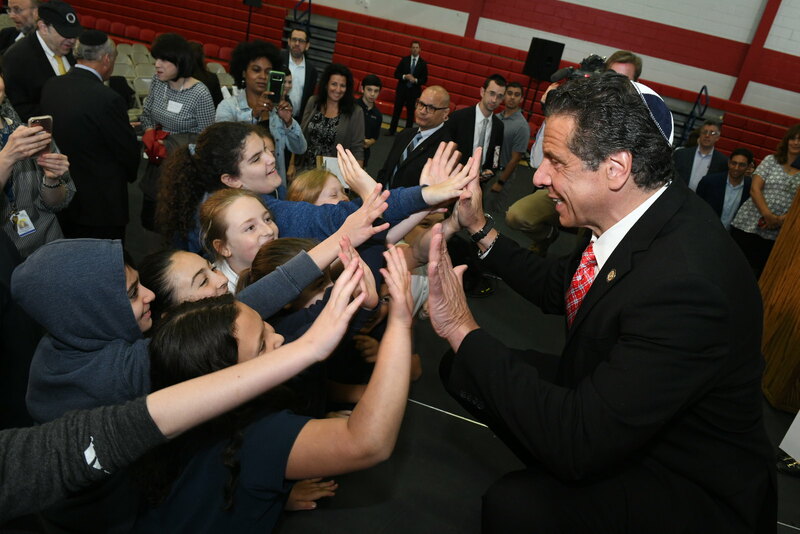 Governor Andrew M. Cuomo today announced over $2.1 million has been awarded through the state’s $25 million Securing Communities Against Hate Crimes Grant Program to help strengthen security measures at nonprofit schools, day care centers and cultural museums on Long Island. These efforts will help prevent hate crimes or attacks against these facilities because of their ideology, beliefs or mission. This first round of funding provides $2,161,410 million for 45 projects at facilities on Long Island. The grant, administered by the State Division of Homeland Security and Emergency Services, provides up to $50,000 in funding for additional security training needs, cameras and state-of-the-art technology, door-hardening, improved lighting and other related security upgrades at each eligible facility. Organizations that operate more than one facility were eligible to submit up to three applications for a total request of up to $150,000. Announced in October 2017, the Securing Communities Against Hate Crimes Grant program supports the comprehensive effort launched by Governor Cuomo to combat hate crimes in New York. The FY 2017-18 State Budget established a statewide Hate Crimes Task Force to mitigate recent incidents of bias-motivated threats, harassment, and violence in New York. The Task Force has engaged county leaders, district attorneys, school district leaders, local police departments and other key stakeholders to identify and investigate hate motivated crimes and bias related trends, community vulnerabilities and discriminatory practices. Additionally, the Governor created a telephone hotline and text line through the Division of Human Rights to report incidents of bias and discrimination. The State Police, who handle any potential criminal matters, receive referrals from both the hotline and text line monitored by the Division of Human Rights. Cases of discrimination that are covered by the New York State Human Rights Law may be further investigated by the Division. A $5,000 reward was made available for any information leading to an arrest and conviction for a hate crime. This funding is critical in our efforts to enhance security and protect nonprofit schools, day cares and cultural museums at risk of hate crimes. Suffolk County Executive Steve Bellone said, "Hate has no place in our Long Island communities, and with this funding, Governor Cuomo has sent a message loud and clear that combating hate crimes is a top priority for New York. I thank the Governor for working with Long Island leaders to provide real solutions to groups who need resources to strengthen their security." All New Yorkers who have experienced bias or discrimination are encouraged to call DHR’s toll-free hotline at (888) 392-3644 from 9 a.m. to 5 p.m. Monday - Friday or text “HATE” to 81336. If you want to report a crime or fear for your safety, call 911 immediately. The Division of Homeland Security and Emergency Services provides leadership, coordination and support for efforts to prevent, protect against, prepare for, respond to, and recover from terrorism and other man-made and natural disasters, threats, fires and other emergencies. For more information, visit the Facebook page, follow @NYSDHSES on Twitter and Instagram, or visit www.dhses.ny.gov.